March was a great month for many athletes, but we have decided that Taekwondo athlete Max Whitley deserved the GLL Sport Foundation March Athlete of the Month award. Max competed three weekends in a row, medalling at all three of them. Max received his Achievement Award at the Chiltern District Council annual Community awards last week. Judging by his fantastic achievements the funding will definitely be put to good use. 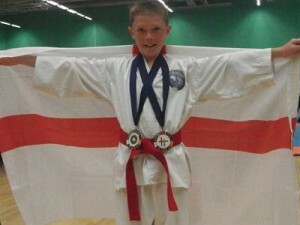 On the 13th of March, Max entered the LTSI South East Open and won a Gold medal in patterns, and a Bronze in sparring. The next weekend on the 19th of March, Max went from strength to strength and competed in the UKTA English Open winning a Bronze in patterns and a Gold in sparring. 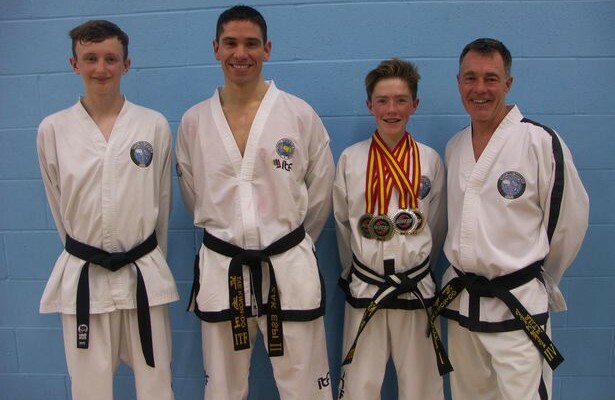 Finally, last weekend on the 27th of March, Max finished off the month with an excellent performance winning three Gold medals in patterns, sparring and destruction. In 2016 there are 3 World Tournaments with different Taekwondo organisations in Argentina, Florida and Hungary. Max would love to compete in all three but is aiming for Budapest in Hungary. The funding from the GLL Sport Foundation will help pay for travel with his Dad who is also his coach, and also help to pay for tournament entries. The free training membership gives Max a chance to do extra cardio fitness sessions which helps him with his Taekwondo competitions. The GLL Sport Foundation are very proud of Max and know that this year is going to be very successful for him! You can view some of Max’s Taekwondo fights on YouTube – search Max Whitley TKD. We wish him the best of luck in all his competitions in 2016.